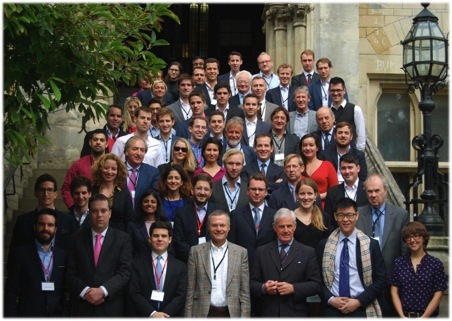 The Altius 2014 Conference, held in Balliol College, Oxford, brought pre-eminent young thinkers from around the world together with internationally-respected people from the worlds of politics, diplomacy, business, academia, law, journalism and the not-for-profit sector. Looking at the broad topic of global trends and governance over the next fifty years, the conference was split into three parts. The first focussed on the future of philosophy in the Western Hemisphere, the second on the future of governance, and the third on science and technology. This simple division, however, does little justice to the interdisciplinary nature of the panels and keynote speeches; throughout the three-day conference, ideas were translated, discussed and re-discussed in light of intervening talks in such a way that technology, governance and philosophy were continuously present from beginning to end. The conference was also characterised by its diversity of forms of intervention, from panel discussions to keynote speeches, from coffee question-and-answer sessions to video conferences, and by the way in which open discussion was at all times encouraged and engaged in. Despite the broad nature of the conference’s overarching title, recurring themes quickly emerged from the detail of the discussions: the tension between pessimism and optimism when considering the past century or decades and the future years, decades or century; the need to make an effort to understand non-Western cultures; the critical state of democracy at the beginning of the twenty-first century; the huge effects of technology on every aspect of our lives, both positive and negative; the search for meaning in an increasingly mechanised world; the failure to address the greatest global problems such as governance, the environment and economic sustainability; and the importance of knowledge and education to a successful future for humanity. 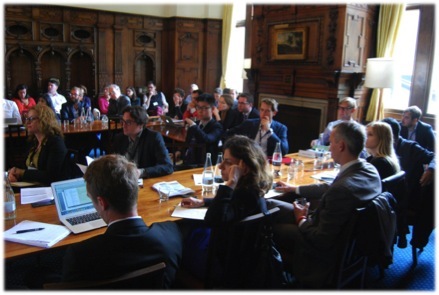 Disagreement was just as fundamental to the conference as agreement; differing cases were put forward and opposing arguments thrashed out to reach not definitive answers but a desire to explore the subjects broached further and in more depth. The variety of views and backgrounds held by conference guests and speakers ensured that discussion was always lively and passionate. In a true spirit of cordiality, however, all guests engaged in social activity outside of the conference room, taking the best opportunities to network with other people in their field and other fields. No guest at the conference could possibly be a specialist in everything discussed, and so all left thoroughly enlightened with regard to new and exciting fields in the twenty-first century, and posing themselves new questions about how the future of our world will pan out – and what they can do to ensure it is as successful a future as possible.